Imagine provides outsourced marketing services to small business owners and self-employed professionals in Nottinghamshire. Understanding your target audience is essential before deciding on marketing strategies to include in your digital marketing plan. By working closely with you, together we can decide on the strategies needed to achieve your desired results. I will then be able to put together a one-page digital marketing plan. This will form the basis of your digital marketing services agreement with Imagine. Current content on your web pages and blog will help get you noticed by the major search engines. All content needs to be relevant and helpful to your readers, solving the problems they’re searching for. Work with me and together we’ll create web content promoting you as the trusted expert in your field. Facebook, Twitter, LinkedIn etc. Confused about which social media platforms to choose for your business? As part of my initial assessment I’ll identify the most suitable social media platforms to promote your business online. When managed correctly scheduled emails are an effective way of keeping in touch with clients and acquiring new ones. Integrating your branding with eye catching emails promotes a professional image of your business. Imagine your own dedicated marketing consultant on hand to help with all those digital tasks you’ve been putting off for ages? Web design consultancy and SEO digital marketing services. Project managing a new website build on your behalf. I can work with your existing team (i.e. web developer, graphic designer, copywriter or IT support team) or recommend someone to you from my trusted network of business connections. I’ll work to ensure, wherever possible, that your new website goes live on time and within budget. All as documented in your bespoke digital marketing plan. Review and audit of your existing online presence. Are important elements of your web presence missing? What needs to be implemented as a priority? Can your potential customers find you when they search online? I always like to start by getting the basics right first and then focus on objectives and strategies identified in your digital marketing plan. Help with regular website maintenance. For example, researching suitable topics for blog articles and scheduling/posting these for you (once written). Monthly SEMRush reports monitoring your website performance. Regular analysis of all leads generated via your website. I prefer to work with clients on an ongoing monthly retainer basis. Clients benefit because the cost is considerably less than employing a full-time marketing specialist. During our first client meeting together we’ll develop a bespoke digital marketing plan for your business. Based on your specific requirements this one-page plan will form the basis of your digital marketing services agreement with Imagine. 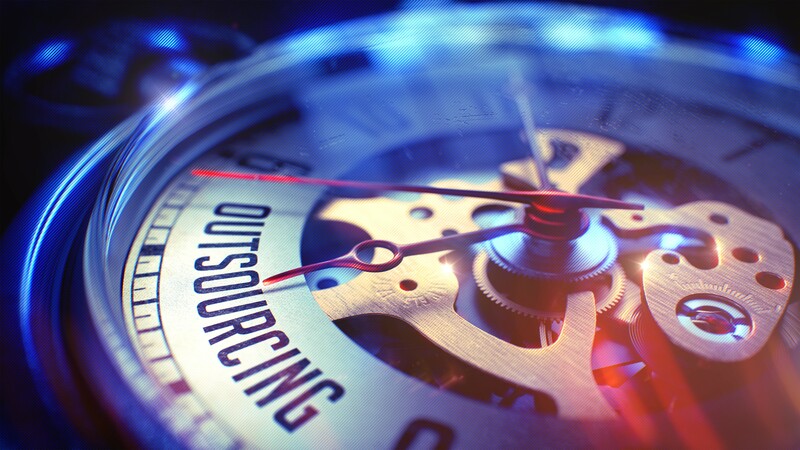 Outsourcing your online marketing can save both time and money. However, choosing the right person to work with is key. I currently have a limited number of digital marketing services packages available. For further information and to see if it’s worthwhile going ahead call 01636 922747 or get in touch online here.